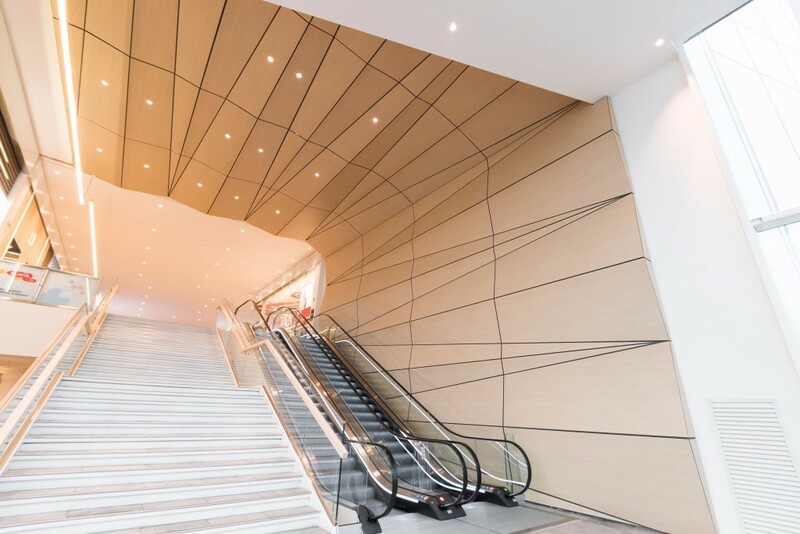 This month’s feature project comes to you from Italy, the Elnòs Shopping Centre in Roncadelle (Brescia), where 4mm compact laminate by ABET Laminati is used as an architectural feature on the ceiling and walls. Compact laminate has a resistance to high wear and self-supporting properties while being versatile in machining, make it the ideal product for uniquely designed architectural features. The Elnòs Shopping Centre uses over 4000 square meters of material, the combination of 410 sei (white) and 650 sei-due (timber) celebrate the simplicity and scale of the design. The team at Surface Squared are dedicated to provide the architects and designers with surface and substrate solutions for any project. For more information, samples or to book in a presentation, contact the team on 1300 722 113.